To be in Ieper (Ypres) on St. Patrick’s Day and take part in the Menin Gate Last Post ceremony is something special, more so if you have a connection with a British Army Irish regiment. The feeling you can get as you stand within the gateway is something that you cannot experience any where else in the world. This is, without any doubt, the place and the time to pay homage to all the Irish servicemen who never returned home from Flanders. There is currently no plan to organise a coach trip to this event. 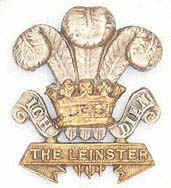 If you wish to meet up with fellow members do come along to the Ypres British Legion on the evening of Sunday 15 March. 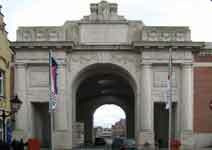 If you would like to join the group for the Menin Gate assembly on Tuesday 17 March you can get in touch and request more information.